Many people have so many questions about investing that they don’t know where to start, so they don’t bother at all. 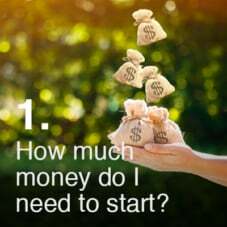 Here are the top five questions you need to ask to help you grow your wealth. Many people think that a savings account is enough to reach their financial goals. And they are not alone. While six in 10 people know that investment knowledge can help them reach their financial goals faster, most still don’t feel confident enough to invest. As a result, basic financial products still rank top in the recent Emerging Affluent Study 2018, conducted across 11 countries, with 72% of the respondents using simple savings accounts to meet their top 3 financial goals. That’s understandable; for first-time investors, without the right information, investing hard-earned money may seem like an intimidating, risky and complicated process. 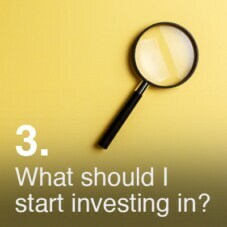 To help gain a better understanding of investing, here are the questions you should never be afraid to ask. Not as much as you think! You don’t have to dip into your emergency funds or sell off family heirlooms to scrape together a large sum of money to start investing. For example, if you invest in mutual funds, you can do so with as little as S$1,000 and you even have the expertise of a professional manager to manage the funds for you. Do your hands sweat at the thought of losing money, or does the word “risk” thrill you? Basically, risk tolerance is how much risk you are willing to take. In other words, how much money are you prepared to lose? 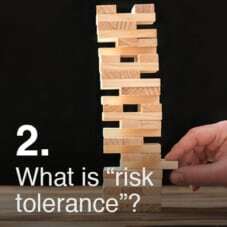 Understanding your risk tolerance is key; if you are a conservative investor who takes on too much risk, you may end up panicking and selling your shares at the wrong time. To find out your risk tolerance, consider your financial goals, timeline, and your personal temperament. There are also quizzes available online that can help you determine if you are a conservative or aggressive investor. Expert advisers can also help you decide where to invest your money to match your risk appetite. What should I start investing in? A wide range of products are available in the market and the ideal mix of investment products will vary from person to person, depending on risk tolerance and financial objectives. To know what’s what, start by understanding the basic products like mutual funds, equities, endowment plans and so on. How many times have you been told not to put all your eggs in one basket? This proverb is especially true when it comes to investing. Imagine you only invest in ride-hailing companies. If the drivers decide to go on strike indefinitely, the shares in that sector will suffer — and the value of your portfolio will drop significantly. A diversified portfolio (with a good mix of stocks and bonds across industries), can reduce the risk by spreading your investment across different industry sectors and geographies. 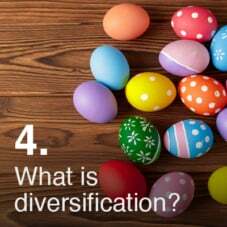 If you don’t know how to diversify, one easy way is to choose a diversified mutual fund. According to the same study, the top three sources of financial advice include friends/family, websites of financial institutions/banks, and financial planners/advisers. 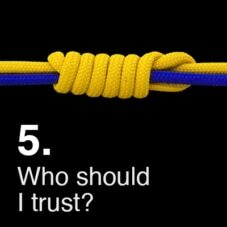 Regardless of who you choose, make sure that the person or organisation has a good track record. It’s your money after all. Investing is easy when you know how! Our team of advisers can help with your queries. Buying an insurance policy is a long-term commitment. An early termination of the policy usually involves high cost and the surrender value payable (if any) may be less than the total premiums paid. The contents of this article do not constitute a contract of insurance and reference should be made to the respective policies for the exact terms and conditions applicable to the insurance policy. It does not constitute an offer to buy or sell an insurance product or service. It is also not intended to provide any insurance or financial advice. All insurance products described in this article are products of and underwritten by the respective insurers and not Standard Chartered Bank (Singapore) Limited. Standard Chartered Bank (Singapore) Limited shall not be liable in any manner whatsoever regarding your application or the contract of insurance. In facilitating insurance arrangements or in referring customers to any insurer, the Bank is acting in alliance with the insurer and not as an agent for customers. This article is for general information only and it does not constitute an offer, recommendation or solicitation to enter into any transaction. This article has not been prepared for any particular person or class of persons and it has been prepared without regard to the specific investment or insurance objectives, financial situation or particular needs of any person. You should seek advice from a licensed or an exempt financial adviser on the suitability of a product for you, taking into account these factors before making a commitment to purchase any product. In the event that you choose not to seek advice from a licensed or an exempt financial adviser, you should carefully consider whether the product is suitable for you.